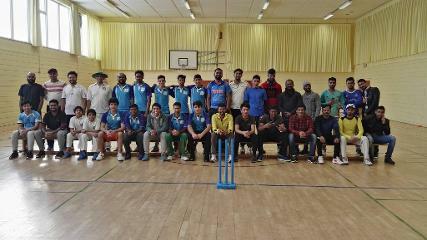 Welcome to the Stuttgart Cricket Eagles e.V. Stuttgart Cricket Eagles e.V. is a non-profit registered cricket club in Stuttgart, registered member of the Württembergischer Landessportbund e.V. (WLSB), German Cricket board (DCB) and Baden-Württembergischer Cricket-Verband (BWCV). Whether you are looking for fun or professional experience, we offer all levels of cricket with proper training and game plan. Our certified trainers provide Kids, women and beginner training every week on different locations in Leonberg and Stuttgart. We offer both hard and softball games and organize regular cricket workshops, tournaments that ensures best possible cricket experience for its members. 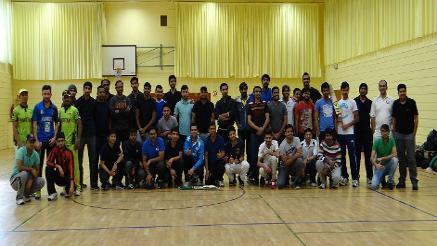 With more than 100 registered members, Stuttgart Cricket Eagles e.V. is the biggest cricket club in Germany! Join us if you are looking forward to having some fun in playing cricket. 8 Teams - One Cup! Indoor Cricket @ TSV Eltingen during the winter. Every Saturday/Sunday from 3-6 pm.